class="post-template-default single single-post postid-373566 single-format-standard custom-background group-blog header-image full-width singular wpb-js-composer js-comp-ver-5.7 vc_responsive"
Drivers throughout the Panhandle are being urged to be cautious when navigating rural county roadways, especially in the latter part of the day when routes over gravel turn to mud. 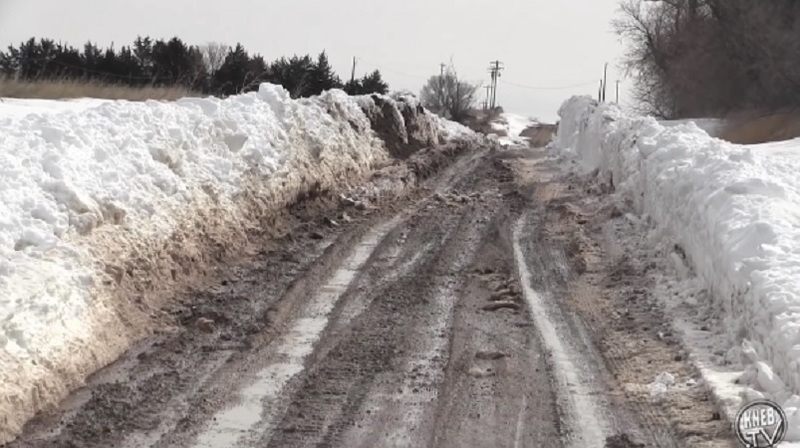 In Cheyenne County, Roads Superintendent Doug Hart says his staff is having a difficult time keeping up with flagging and barricading washouts and overflowing ditches. Hart is advising motorists they should not drive around barricades or through flood waters over roadways, which are are being washed with deep channels or becoming eroded. Meanwhile, Box Butte, Dawes and Sioux counties are under a flood advisory as we’re seeing fairly rapid snow melt in a number of areas. Tuesday morning, water was reported over the roadways of Highway 87 between Keith and Hall Roads north of Alliance, and on the Nebraska 7E Link about two miles east of Hemingford. Box Butte County Sheriff Tammy Mowry tells KNEB News there are also reports of heavy mud and some standing water on various county gravel roads and recommends motorists turn around if they encounter such conditions or they could become stuck.